Niche Profit Classroom (NPC) houses everything a marketer needs to start a successful marketing business on the Internet. It is a membership program that offers a comprehensive step-by-step, online training course. It was developed by Adam Short, the creator of Keyword Advantage and an accomplished Internet marketing pioneer. He created NPC with the goal to help upstart or struggling online marketers. NPC cuts corners with all the bundled tools, software and resources that a newbie needs to start or grow a successful niche marketing business. This means 13 modules with hundreds of easy-to-understand instructional videos and tutorials. It means ready and accessible action plans, niche packs, webinars, and forums. It also means ready-made niche websites that members can use, so building and maintain a selling site or looking for profitable niches and products become less arduous. NPC is a good learning course for beginners that work on autopilot, enabling them to make a regular income. It teaches legitimate strategies to optimize websites, so the website can be found by the target market, drive traffic to it, and rank high in the search engine results page (SERP). The modules are designed to show its members how to succeed as an online marketer, through finding the right and profitable niches, analyzing the niches, products, and competition. Like anything else that seems too good to be true, there are those who doubt it works or delivers what it promises to deliver – a sizable earning of over $500 monthly while the site is on autopilot. There are, however, no sales hype or outlandish sales talk, such as a secret strategy that has “never been seen before” and many other reviews consider it legit. NPC claims that they offer better tools, systems, resources, and support. Great for newbies and struggling marketers. 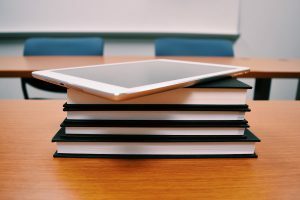 NPC has lots of great video learning materials, containing everything any newbie or struggling marketers would love to know to start or boost their niche marketing. Good training. It offers viable advice on areas, such as email marketing, SEO, keyword research, etc, how to land at the top of the SERP, collects extensive email lists, driving traffic to the site, etc. Fresh monthly prospects. The niche packs ensure that members will have fresh opportunities to launch new niche sites and content on a month-to-month basis. System and structure. It works well for the marketers who need a system or a structure to track to give them the momentum to forge ahead towards the right direction. Basic and legitimate. It offers basic and proven practices that work. Likewise, the training and support are legitimate. Affordable learning and strategies. It can be tried for $1 and then $67 if you want to be a regular member. The monthly fee is also locked at the original rate. Everything is there from A to Z. The membership entitles you to all the tools, so there is no need to buy additional. Help is always available from its large and supportive community. Inapplicable training for advanced members. The instructional videos are overly basic that stops being useful as a niche marketer advances in the field or have learned every basic thing there is to know. Inferior and outdated tools. Though they work, they are no match for the newer versions and premium tools. There are tools that you can do without and there are more sophisticated tools you will wish you had in the NPC arsenal. Limited niche packs. With only three being released within the month and thousands of members, they get saturated quickly enough. Doesn’t update as often. NPC doesn’t release new updates or information on a regular basis. There are 13 modules of multiple and downloadable tutorials/instructional videos in the Niche Profit Classroom training course. NPC Media Centre – It has over 500 step-by-step educational videos that cover virtually everything that has to do with niche marketing. It is one of the biggest video libraries on the Web. It has a wide array of interesting and useful topics. Ready-made Businesses- Starting with NPC is easy because of the monthly ready-made businesses that members get – eBooks on topics with low competition and high-profit potential, optimized articles, graphics, niche-related keywords, and a 21-day guide to building and promoting of new niche sites. NPC “Member’s Only Webinars” – These are offered every month covering topics important in niche marketing, such as copywriting, email marketing, video marketing, outsourcing, etc. These are recorded for later viewing by those who wish to. NPC Forum – NPC has an active forum. Members seeking solutions can ask the community. Members can also go there to share their experiences, challenges or ongoing progress. Niche Profit Mastermind Groups – Members get personal help when they join live presentations by the Mastermind Groups. These are also recorded for the benefit of those members who wish to go over it. Niche Profit Leaders: – This provides the venue for newbies another to meet successful niche members, so they learn the techniques and strategies that can contribute to their own success. Niche Profit Press Ultimate (NPPU) – NPPU is a software that can simplify the setting-up of Google-friendly niche sites to rank high in the SERP. Link Tracks – Members learn how to build quality links that will help their sites to land high in the SERP. Niche Profit Shortcut (NPS): – If NPS entails the use of Google AdSense and strategic placements of text or image ads on their websites for the visitors to click and for the members/site owners to earn. Niche Profit Affiliate Physical (NPAP) – This is a tool that;’ is valuable in finding products with high potential profitability. Niche Profit Affiliate Digital (NPAD) – This is akin to NPAP, but it is designed to promote digital products online. Niche Profit Vendor Mastery – NP Vendor Mastery is the tool that teaches users to promote the products they create themselves, using reliable affiliate marketing networks. Niche Profit Classroom Software and Tools – Becoming a member of NPC provides the access to several tools and software. The Niche Profit Classroom is aptly named to mean a milieu for learning. This is achieved by providing the member's established blueprint for creating profitable niche sites, from building websites to optimizing its pages and other niche-related businesses. Website Builder – This training course comes with a set of tools that members can use to build niche sites quickly and with competence. Keyword Tool – This helps in finding appropriate or niche-related keywords for your promotional campaigns with high search volume and low competition, thus ranking fast on search engines. Market Profiler – This tool allows you to assess the profitability of your selected niche market. All it takes are some inputs and details for a calculation to be done. Niche Profit Press – If creating lots of niche sites is something that a member would like to do, this tool can do that fast and easy. Mini-Course Wizard – Remove the toil from list building using this email campaign creator/tool that streamlines the process. With this tool, members can create emails as frequently as needed. Sales Letter Wizard – If writing a sales pitch for a product isn’t a strong skill, members can use this sales page creator to generate sales letters intended to boost sales and earnings. 15 Minute Newsletter –Newsletters can strategically convert leads into sales. NPC members can create newsletters in minutes with this tool. Opt in Page Wizard – Creating the homepage can’t be easier with this tool. Using a template, the opt-in pages can be generated using four different designs. Coaching is provided through regular and participative training webinars. Aside from the NPC webinars, members can also receive personal assistance from the Niche Profit leaders and Mastermind Groups. Support is also provided by the community of 2000+-strong membership. If you have concerns, there is a section dedicated to Q & A. Niche Profit Classroom (NPC) is a useful membership program that can show upstart niche marketers how to fare well in the business. It offers 13 modules supported by over 500 videos that are simple and easy to understand. NPC works well for beginners. Its tools and software are simplifying the tasks, from building a website and creating pages to writing emails, sales letters and newsletters. It also offers its members “off-the-rack” websites and easy ways to find niches and products that have good demands in the market. But while this training course can be a real gem for beginners, there is little it can offer to its advanced members. Dealing with the digital world has become a fact of life. Regardless of who you are or what you do, you can benefit from it. More so, if you can make the best of it because you know the right tools, help, and sites to use, considering your niche or purpose. If you are a beginner in the business, Niche Profit Classroom is a solid, authentic training course that has a value for you. It is a valuable training course for newbies, but it has very little to offer those marketers interested to move up the ladder of niche marketing education. NPC offers adequate training and support to their members and legitimate ways to monetize niche sites. If you are interested in trying this course, you can for as little as $1. It can actually help you or anyone gets started on your niche marketing and in earning some money. In time, it may help you make money, but that won’t happen overnight. Similar to other training courses, Work on your basic skills and be prepared to toil for the money to roll in. Have you had any experience with affiliate marketing or online marketing before? If so I would love to hear about your experiences. Also, if you would like me to provide a review of a similar product, then drop me a line in the comment box that follows and I will be happy to provide that for you. If these guys are using outdated tools, it means that even if I earn money with their strategies, I won’t be hitting the highest potential I have with the opportunity, right? If this is the case, I won’t join them. I would better pay more for another program that is more recent than use this one. I think I will go with your recommendation. Thanks a lot for the help. Hi Dave! Great to have you swing by and appreciate the comments. I would agree with your view in terms of where the highest potential lies. If you are giving your time, energy and money to something, it might as well be where you have the highest potential. Interesting information on the niche profit classroom opportunity, I like how you shared the pros and cons for people joining this program. So I know that Wealthy Affiliate also provide training similar to niche profit, but in your opinion how does the two programs compare for training to start your own online business? Hey Jeffrey! Well for a start, I rated Niche Profit Classroom at 60/100 and Wealthy Affiliate I rated 90/100. You can read my Wealthy Affiliate Review here. But clearly, I rank Wealthy Affiliate much higher as it will give you much more value in terms of training…and so much more. With so many “get rich quick at home” scams out there, your website is refreshing! This is excellent information to have when deciding on a platform to use. I love how you broke down this product so we now what to expect from it! Also, it’s good to know the pro’s and cons on any product and I really appreciate your honesty in reviewing. Do you have a personal recommendation on what platform you believe to be the best? Hi Angela, thanks for visiting and for the comments and question. I am always aiming to give my readers a comprehensive insight into a product they might be contemplating on using, by way of a review. For the most part, there is something of value from each of the products I review – and this is reflected in the ‘ranking’ score I apply to each review. So my #1 is Wealthy Affilite and you can see why here. You will see more of my product reviews under the same menu heading. Hope this helps, but if you have more questions, then please contact me again. like everyone else i am struggling with the issue of finding a niche that really fits. Thank you for such a detailed review! I had not even heard of this platform previously to use for training for an online marketing business. I’ve heard of Wealthy Affiliate, how would you say that NPC compares to WA? Do you think it performs better than other aspects of WA? Hi there, so glad you called by and for your comments! The NPC ‘offers’ are limited as compared to Wealthy Affiliate. It scored just 60 out of 100 for me, whereas Wealthy Affiliate scored 95 out of 100. To read a Wealthy Affiliate review, click here. Just finished reading your article about the Niche Profit Classroom. I have been trying my hand at website design on my own and I have finally realized I need more instruction. After visiting the Niche Profit Classroom I found it to be very basic, and I have already figured out the basic’s. Can you tell me more about the Wealthy Affiliate training? Also how is their customer service and support? Hey Brendon! This is the thing that most people have come to realise about going it alone as apposed to having a community of experts at your finger tips to answer your questions. This is what Wealthy Affiliate is based on. See for yourself… join for free here and get 7 days to try the training out and have a good look around for yourself. I’ll be there too to give you my personal help and expertise. 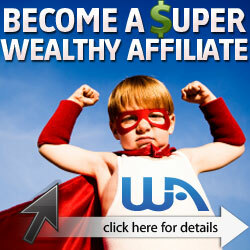 The Wealthy Affiliate community is extensive both in numbers and skill base and is available to you 24/7. There are always community members hanging out in live chat which is probably the quickest way to get help, and almost always instant. Then there is the huge data base of questions and answers you can search immediately from the search bar which is present on every screen in the Wealthy Affiliate Dashboard. For premium members you have the ability to message any WA member including the founders of the platform, Kyle and Carson. Then there are the classes, the video training, the webinairs which by the way, you can replay at anytime. In a nutshell, it has all bases covered, no matter what your skill level. Should you want more information, please read a review here.